Tokio Marui 1911 Airsoft Pistol. This is a Semi-Automatic pistol that is fast aiming and accuracy. It comes with an adjustable Hop-Up which is in the body of the gun and is an easy turn grip wheel.The gun as a very positive blow back and is loud so you know all about it being a blow back.No feeble blow back on this one. 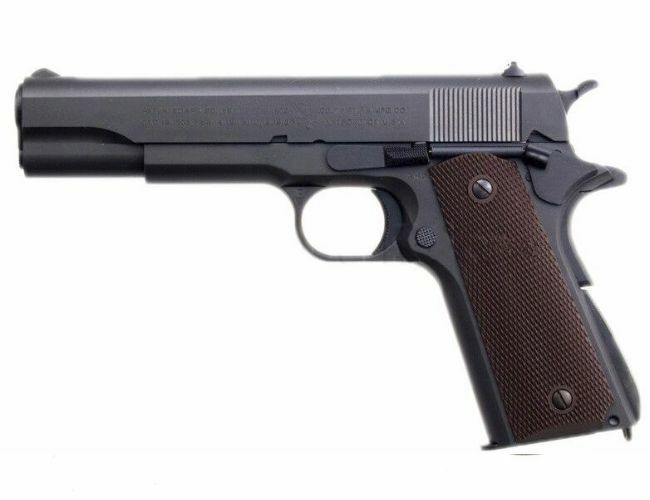 The pistol is built with the same durability and quality of every other Tokyo Mauri pistol and are designed to last. This is the perfect pistol for those who want optimum performance out of the box, making it a great primary weapon for CQB environments. 6mm BBS. Speed 290 FPS this can vary.